Fathers Day is this weekend, which means many of you are probably looking to spend a little quality time with dear old dad. Of all the movies I have enjoyed over the years, some of my favorites center around dads. There is just something special for me about that relationship between father and son, being both a father and a son. So, if you are looking for a great father themed film to watch this weekend, take a look at these five. 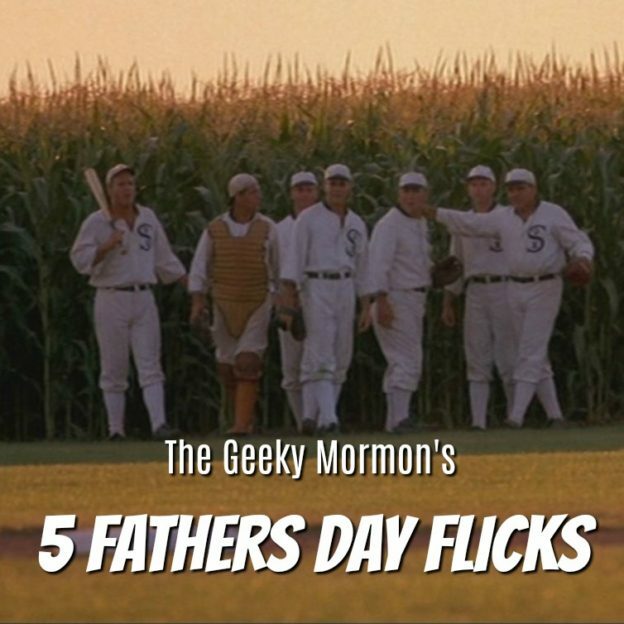 This entry was posted in Movies and tagged Back to the Future, Big Fish, Father's Day, Field of Dreams, Indiana Jones, Movies, The Incredibles on June 15, 2018 by Jake Dietz. Happy Father’s Day, everyone! Being a dad myself, this happens to be open of my favorite holidays. For this special post, I thought it would be fun to take a look at a few of my favorite fathers from some of the fandoms that I enjoy. I thought about doing a really long list, but decided to keep this one a little shorter, and a little simpler. I narrowed it down to three of my favorite fathers, so this is by no means a comprehensive list, and there is plenty of room for other fathers from your favorite shows or movies or books. In any case, I hope you fathers out there have a wonderful day, and I hope we all have a “father” in our life that we can look up to and think of on this day. This entry was posted in Adventures of a Geeky Dad, DC Comics, Harry Potter, Warp 9: All Things Star Trek and tagged Father's Day, Harry Potter, Star Trek, Superman on June 19, 2016 by Jake Dietz.